The Supreme Court has ordered to form a judicial commission to investigate 2014 militant attack on Army Public School Peshawar, where more than 150 people were killed, Samaa reported Wednesday. Chief Justice of Pakistan, Justice Saqib Nisar, ordered creation of the commission while hearing at the Supreme Court’s Peshawar registry a case pertaining to the worse militant attack in country’s history. The CJP has sought the investigation report within two months. Judges for the commission will be nominated later. 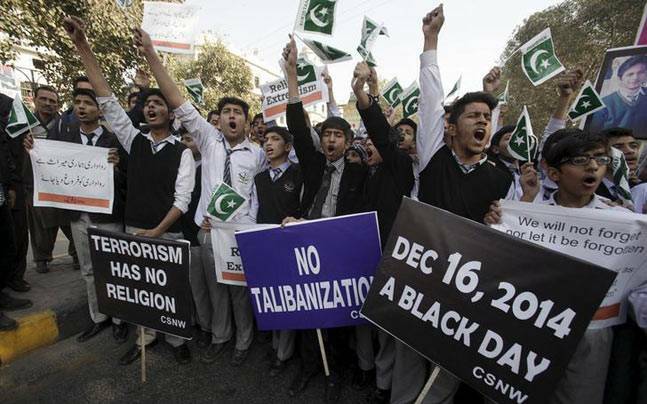 On 16 December 2014 Taliban gunmen stormed the Army Public School in Peshawar. In the hours-long siege, more than 151 people were killed, 132 of them children. It was Pakistan’s deadliest ever militant assault that hardened public opinion against extremism and prompted a military-led crackdown.